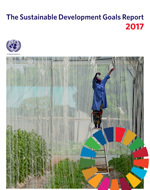 If the world is to eradicate poverty, address climate change and build peaceful, inclusive societies for all by 2030, key stakeholders, including governments, must drive implementation of the Sustainable Development Goals (SDGs) at a faster rate, says the latest Sustainable Development Goals Report launched on 17 July. Using the most recent data available, the report provides an overview of the world’s implementation efforts to date, highlighting areas of progress and areas where more action needs to be taken to ensure no one is left behind. This year’s report finds that while progress has been made over the past decade across all areas of development, the pace of progress has been insufficient and advancements have been uneven to fully meet the implementation of the SDGs. While nearly a billion people have escaped extreme poverty since 1999, about 767 remained destitute in 2013, most of whom live in fragile situations. Despite major advances, an alarmingly high number of children under age 5 are still affected by malnutrition. In 2016, an estimated 155 million children under 5 years of age were stunted (low height for their age). Between 2000 and 2015, the global maternal mortality ratio declined by 37 per cent and the under-5 mortality rate fell by 44 per cent. However, 303,000 women died during pregnancy or childbirth and 5.9 million children under age 5 died worldwide in 2015. From 2015 to 2016, official development assistance (ODA) rose by 8.9 per cent in real terms to 142.6 billion US dollars, reaching a new peak. But bilateral aid to the least developing countries fell by 3.9 per cent in real terms. The benefits of development are not equally shared. On average, women spent almost triple the amount of time on unpaid domestic and care work as men, based on data from 2010-2016. 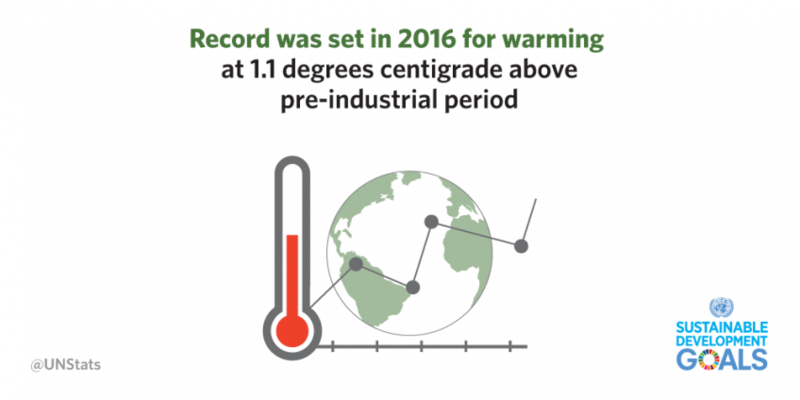 Economic losses from natural hazards are now reaching an average of 250 billion to 300 billion US dollars a year, with a disproportionate impact on small and vulnerable countries. Effectively tracking progress on the SDGs requires accessible, reliable, timely and disaggregated data at all levels, which poses a major challenge to national and international statistical systems. While data availability and quality have steadily improved over the years, statistical capacity still needs strengthening worldwide. The global statistical community is working to modernize and strengthen statistical systems to address all aspects of production and use of data for the SDGs. A careful review of 70 years of the United Nations’ economic advice reveals that the analysis still remains relevant to guiding countries through a difficult current global economic situation and for the implementation of the 2030 Agenda for Sustainable Development, according to the World Economic and Social Survey launched by UN DESA on 13 July. Individual countries have pursued widely different development paths during a period that has witnessed the fastest growth in global output and trade than any other period in the history of humanity—and have achieved varying results from the bleak to the miracle. An in-depth review of the UN economic analysis over the past seventy years has found that the free trade, development-friendly, country-specific advice of the Survey has proven to be accurate and prescient. First published in January 1948, in the direct aftermath of World War II, the Survey is the oldest annual economic and social report of its kind and has promoted a broader understanding of development that emphasizes the importance of advancing the structural transformation of the economy, making progress in social development and ensuring environmental sustainability. Drawing on its long history of analysis, this year’s Survey, argues that development progress requires robust global economic growth, solid expansion of trade, and steady access to financial resources for development. The Survey contends that the current growth trajectory in the aftermath of the Global Financial Crisis does not provide the enabling environment for supporting progress in achieving the SDGs. According to the Survey, the implementation of the 2030 Agenda for Sustainable Development requires greater and deeper international coordination in key policy areas including fiscal, monetary and trade. But the Report finds that such challenges are not insurmountable. In the last 70 years, the world has witnessed episodes of economies experiencing remarkable economic development, which include: Germany and Japan in the 1950s and 1960s, followed by the Asian Tigers (Hong Kong Special Administrative Region of China, Republic of Korea, Singapore and Taiwan Province of China). In recent decades, some ASEAN countries, Botswana, China and India, among others, have also experienced high and sustained economic growth and improved standards of living.